Hi, I’m Megan from Narellan. I have 3 dogs myself, Pepper who’s a 12 yr old West Highland Terrier, Frankie a 4 yr old Blue Cattle x Cocker Spaniel and Charlie a 4 yr old Chihuahua x Terrier. I am a resident of the area and have a passion of dogs. 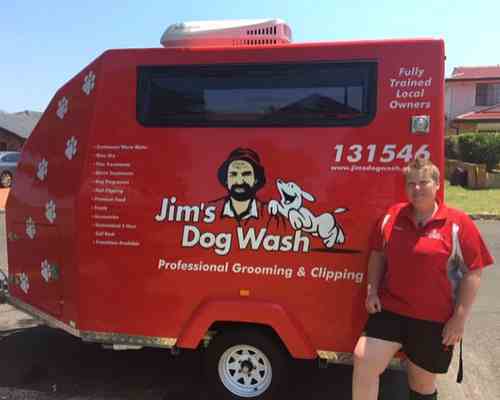 I can offer your dog a air conditioned trailer to be groomed in and a range of services. Please call 131-546 and I can quote you for a dog wash, dog groom, flea treatment, nail clipping or even dog walking. With each service I will wash your pet twice, condition the coat and they will be returned to you fully dry and smelling clean and fresh. If you call 131-546 the customer service team will direct your call to me and I’ll call you back to discuss the what is required.